The Olympic Hopes 2018 regatta took place 14th-16th September in Poznan, Poland. Competition was tougher than ever, with 716 paddlers from 36 countries. Eastern Europe and Germany once again dominated the event. Qualifying from semi-finals to finals was a feat in itself, with only the top two going through in most semis. 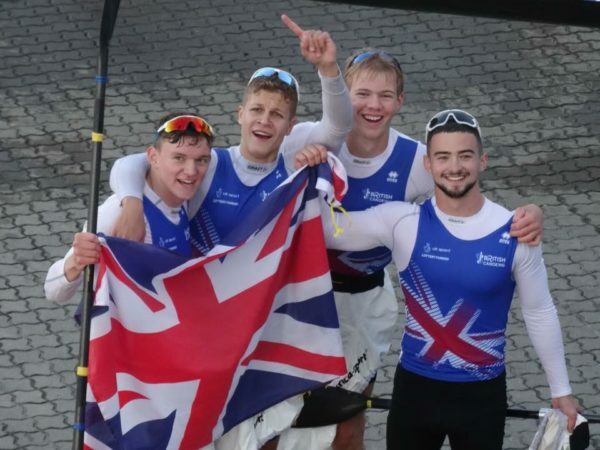 The GB squad, comprising 29 athletes, included two of Reading’s top Junior paddlers – Daniel Atkins and Freddie Kemp. They performed particularly well in their K2 200m, in a hugely tough field, coming 8th in the final. The crowning glory was taking Bronze in their K4 500m race, with Andras Keresztuzi (EAL) and Philip Miles (RLS). Well done, boys. Great performances.